EMF expert radio show guest who speaks on dangers of cell phone radiation , cell tower masts and more. Single Greatest Pollutant on this Earth! If this pollutant were visible, “Modern Cities Would Be Dark at Noon”, says Home Radiation Specialist, Mr. Fitzgerald. It is called Electromagnetic Smog. Being constantly irradiated by so much electrical energy is known to debilitate and kill. After heading cell phone research at Sweden’s Lund University, Neurosurgeon Leif Sandford calls exposing brains to microwaves from “mobiles” the largest human biological experiment ever. Neurological effects have been shown to occur within minutes of a single exposure. Two things the cell phone industry doesn’t want the public to know. phone radiation and where to find these studies.. Symptoms people are noticing from over-exposure to cell phone radiation. How long a person can talk on a cell phone before it becomes dangerous? What cell phones, cordless phones and microwave ovens have in common? How talking on your cell phone in your car is like being in a radiation cage. Why hands free headsets are not safe. New technological solutions to make your home & cell phone safe. WHO IS Paul Sean Fitzgerald? 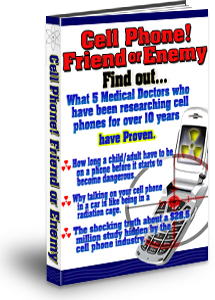 -Author of Cell Phone Friend or Enemy. that emit no radiation and education of the best ways to protect yourself. has been studying Electromagnetic Fields for over 15 years now. He has done over 100 radio shows and speaking engagement in 2006 and has his recently released book "Cell Phone Friend or Enemy." They take some time to download so please be patient. thank you. 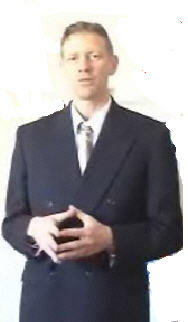 You are welcome to download them onto your computer. Right click on the show and click on 'Save target As'.